Jake Neufeld of Altona passed away after his battle with dementia, peacefully with his 2 older daughters at his side on the morning of January 25, 2019 at Eastview Place. Jake is lovingly remembered by his caring wife of almost 64 years, Mary Neufeld (Friesen), daughter Myra with her husband Larry Falk, daughter Val with her husband Gord Sawatzky, daughter Lynette with her husband Ben Dyck, daughter Sharon with her husband Rob Malenki and son Darren with his wife Mandy (Polonsky) Neufeld. Also, cherishing and remembering a wonderful grandfather and great-grandfather are dad’s grandchildren, Chad Falk and Sandra Hodzic, Nathan and Mandy (Friesen) Falk with their children Meelah and Lily, Brett and Dana (Mangin) Falk with their children Élyse and Anique, Jeremy and Kate (McMillan) Sawatzky, Josh Sawatzky and Jen Tomsich, Brent and Jamie (Toews) Fehr with their children Sophie and Shea, Derek and Shannon (Hastman) Fehr with their children Sienna and Easton, Mitch and Meaghan (Toews) Fehr, Alyssa Malenki, Breanna Malenki, Peyton Malenki, Jared Neufeld and Taylor Neufeld. He was predeceased by his parents Jacob and Aganetha Neufeld, brother Henry, wife Helen Neufeld, and son in-law Melvin Fehr. Back in 1963, when Jake just started with the Post Office, an Annual Efficiency Report identified him as an honest and courteous person. Every person that was in contact with him recognized these traits immediately. He was also a loving, passionate, intelligent and caring man. He enjoyed meeting people and building relationships along the way. His respect for people was displayed every time he spoke. He was a loyal man and committed to his family, friends and faith. Family was very important to him and when able, he always extended his help. Evidence of this is his contribution to the construction (by his hands) of his children’s homes. He enjoyed gardening with his wife and sharing it’s bounty with family and friends. Jake believed in the community and did what he could for it. He spent almost 33 years in the post office. Everyone knew who the Postmaster was in town. Everyone in town and surrounding areas came to get their mail and was greeted by a smiling respectful man. He was proud to work in the Post Office and with confidence and hard work he overcame any challenge he faced. Before taking his role in the Post Office he enjoyed working with his hands. He spent many years as a farmer and as a carpenter. His love for the farm continued as he worked at the post office. He took vacation time, from the Post Office to help Melvin (son in-law) at harvest time. As he recognized everyone was part of his community he supported them in various volunteering roles. He volunteered his time with the Church, MCC, Town Council, OTC, Hospital Board and Sunflower Festival holding various roles. He was unselfish with his time and wanted to make sure that he supported those who lived among him. Jake was strong in his faith. He always lived his life under the guidance of the teachings within the Bible. His honest, courteous and caring nature is evidence of this. As Jesus Christ did, he accepted everyone for who they were. Because of this he was respected as a friend by all. He enjoyed his time when he and Mary were reading scriptures and celebrating life with their Bible Study group. His belief in the Lord allowed him to experience life to the fullest, knowing that he will be forever with him. We the family would like to thank the Wiebe Funeral Home, Altona, The Eastview Place Staff, Southern Health Staff and EMMC family for their support during a difficult time. We appreciate the minister, Frank Friesen and Irene Hiebert, Barb Neufeld, Kathy Schroeder and Carla Hiebert for their special singing and all those who were part of Dad’s funeral. We would also like to thank all the people for the phone calls, texts, flowers, cards, food, visits, thoughts and prayers. You touched us in so many ways, that you will always be a part of us. We will always love you. Rest in Peace. 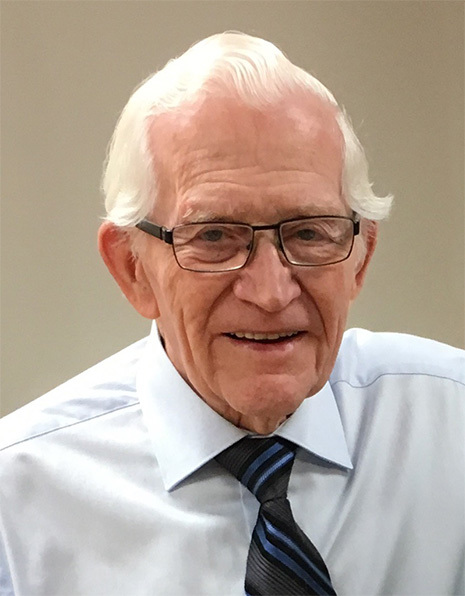 Funeral service was held on Wednesday, January 30, 2019 at 2:00 p.m. at the Altona EMM Church, with burial at the Altona Cemetery. Donations in memory of Jake Neufeld may be made to MCC.